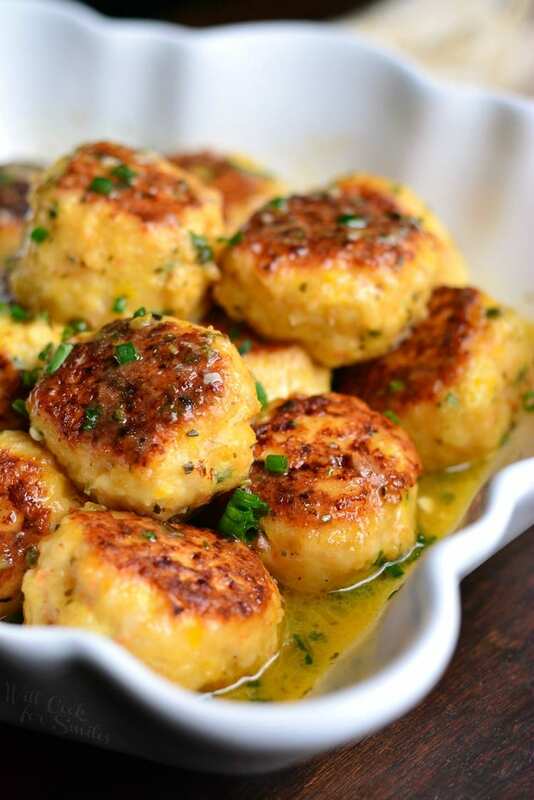 There are no words that will truly describe the amazing taste of these Shrimp Scampi Meatballs. 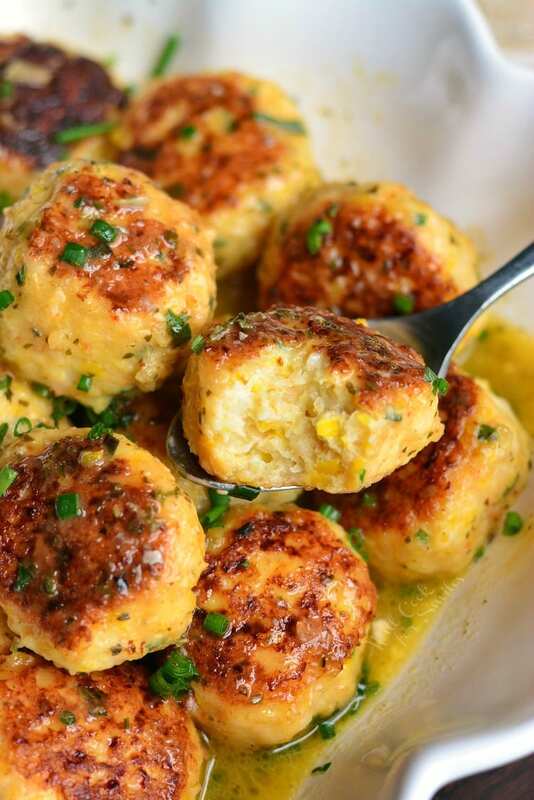 Yes, these are SHRIMP MEATBALLS! 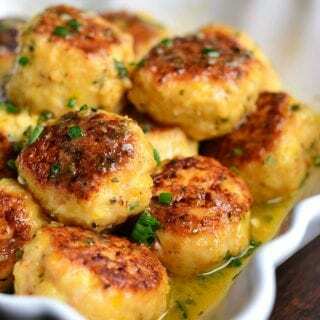 Juicy, tender, and delicious meatballs made out of fresh shrimp with lemon, garlic, herbs, and buttery white wine sauce. 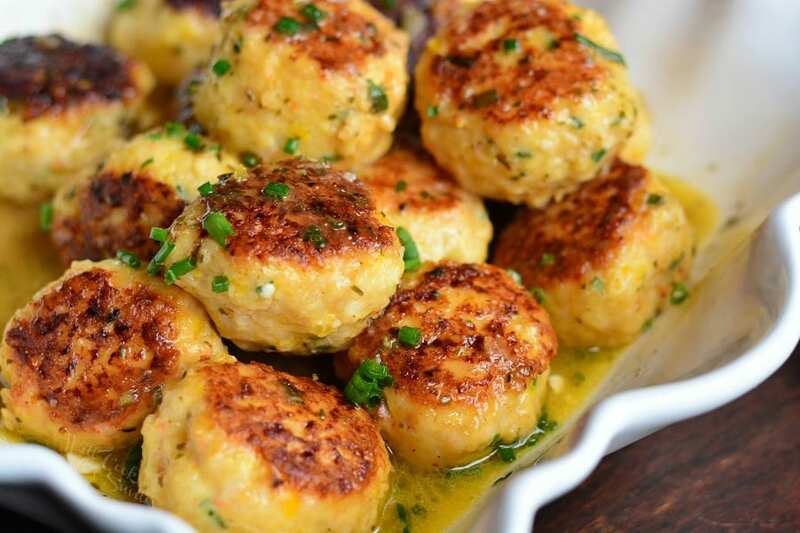 I have been waiting to share these shrimp meatballs with you for SO long! I’ve been working on this recipe for several months now and it’s evolved into something amazing. 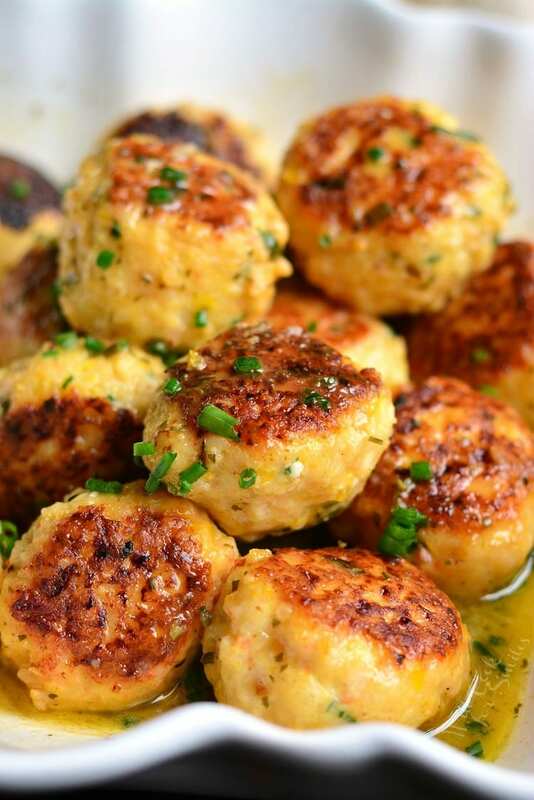 With shrimp meatballs, it’s a little different because adding bread wasn’t working as well. Bread crumbs work great thought, you just have to adjust the amount a little. There is a note for GF substitution in the recipe for those who are interested. Like I said, I’ve experimented with different flavors. My go-to way to make shrimp is with lemon (or lime), herbs and garlic flavors. 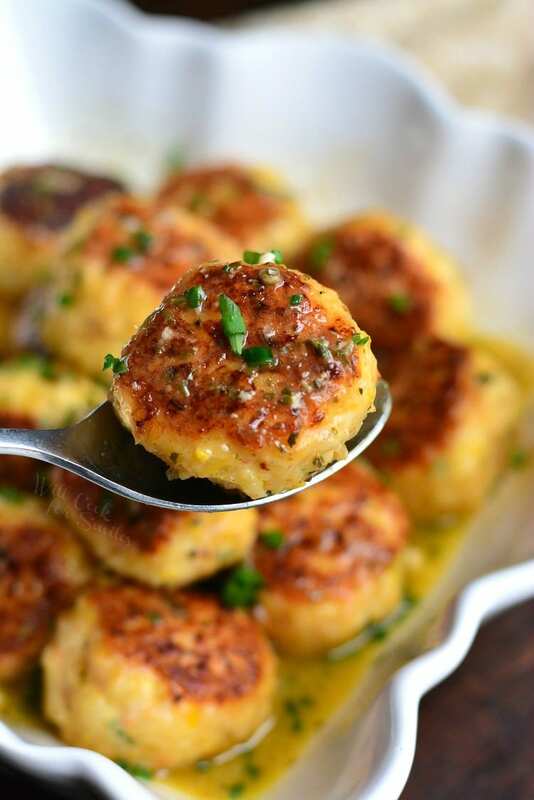 My first idea for shrimp meatballs was to make lemon infused shrimp meatballs with Tuscan butter. That turned out AMAZING but I needed to improve the meatball itself and it as missing a sear. You need the sear because flavor is greatly enhanced by searing meat and I am a huge fan of that! While I was making my new batch of shrimp meatballs, there was a bottle of wine staring at me. “Why not?” I thought, and I decided to add some white wine while cooking the shrimp. 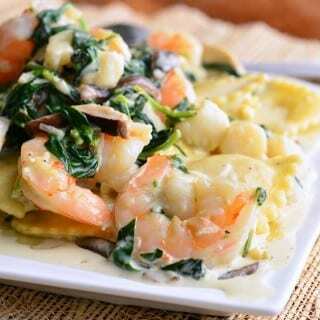 So we’ve got garlic, butter, lemon, white wine…there is a classic shrimp scampi flavor make up and it was an instant hit. Beautiful sear, beautiful flavors, and a beautiful meatball! f you made any of my recipes and shared them on Instagram, make sure to tag me @willcookforsmiles and #willcookforsmiles so I can see all the things you tried! Seed and chop yellow bell pepper and add it to the food processor. Chop onion and add it to the food processor as well. Add garlic cloves. Pulse a few times until finely minced but not blended. Transfer the veggie mixture into a fine strainer and set over a small bowl to catch the juices. Press a few times to get most of the juice out. Save the juice for the sauce and add veggie mixture into a mixing bowl. Add peeled and deveined shrimp into a food processor and pulse a few times, until very finely chopped, and transfer into the bowl with minced veggies. Add egg, seasoning, bread crumbs, salt, mayo, minced chives, and lemon zest. Mix everything very well, until all ingredients are evenly incorporated. Preheat a large cooking pan over medium heat. Add a couple of tablespoons of canola oil for cooking shrimp meatballs. 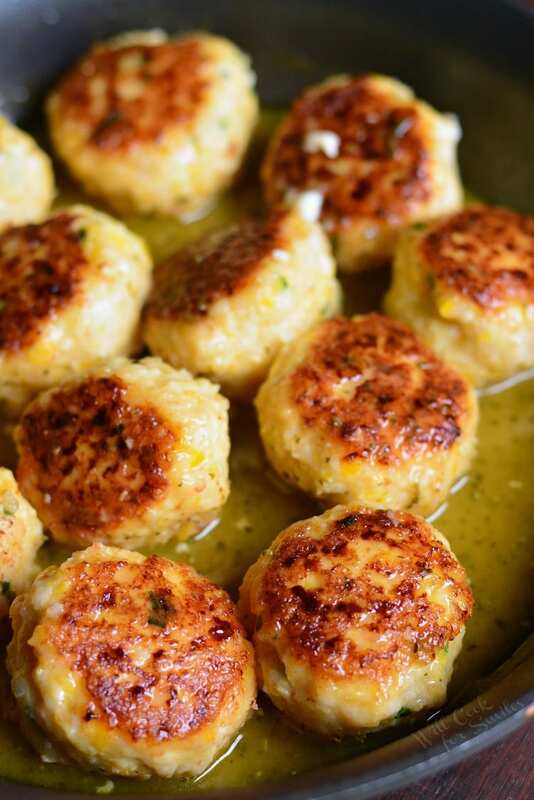 Rub your hands with a little bit of oil and roll meatballs that are about an inch to an inch and a half in diameter. Place meatballs into the heated pan and cook for about 7 minutes on each side (depending on the size of the meatballs.) You can cover the pan with a lid after flipping meatballs. Meatballs should be firm to the touch but you can always break apart the biggest one to make sure it's cooked through in the center. Once the meatballs are just done, add pressed garlic and let it sear for a few seconds. Add white wine and let it simmer for about a minute. Add butter, saved juice from veggies, and seasoning. Add salt if needed. After butter melts, gently shake the pan to mix sauce ingredients well. Cover and cook for a couple of minutes. Sprinkle with some chives as you're serving the meatballs. You can serve shrimp meatballs over pasta or roasted veggies. 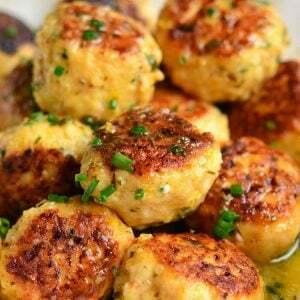 Gluten Free Notes: to make these meatballs gluten free, use GF bread crumbs. I noticed that a couple of extra tablespoons are needed of the GF bread crumbs because they are not as dense as regular bread crumbs. Tuscan Seasoning: Tuscan seasoning can be found in most grocery stores. 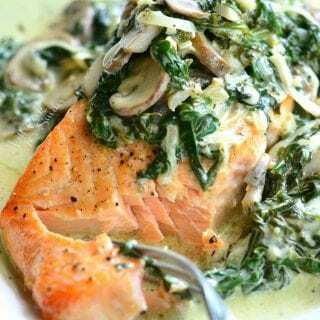 You can also make your own by combining dry rosemary, thyme, basil, and parsley. There are recipes that can be found online. Just made these and they are amazing!!!! I had never made shrimp meatballs so I was intrigued and my whole family loved them! 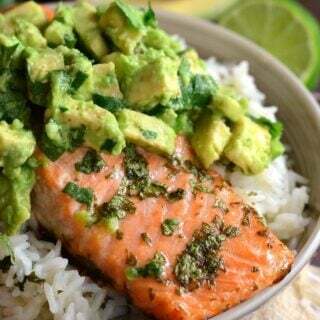 A nice light dish and not heavy! I served them over zucchini noodles! Great, unique, easy to follow recipe! Oh of course, it’s 3 meatballs per serving. I got 15 meatballs out of this recipe total. 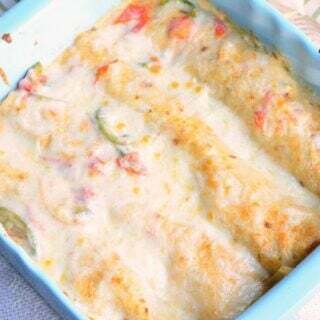 I would like to use this recipe to make stuffed lasagna rolls, with a creamy lemon white wine sauce poured on top. 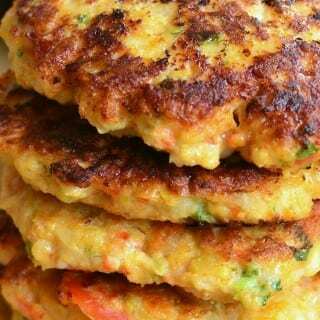 Sprinkle with fresh chopped parsley. Hi Judith! That sounds very interesting 🙂 I would probably cook (or at least par-cook) the meatballs first. I hope you’ll let me know how it turns out!